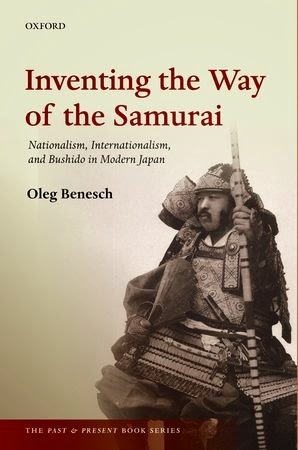 Inventing the Way of the Samurai examines the development of the 'way of the samurai' - bushidō - which is popularly viewed as a defining element of the Japanese national character and even the 'soul of Japan'. Rather than a continuation of ancient traditions, however, bushidō developed from a search for identity during Japan's modernization in the late nineteenth century. The former samurai class were widely viewed as a relic of a bygone age in the 1880s, and the first significant discussions of bushidō at the end of the decade were strongly influenced by contemporary European ideals of gentlemen and chivalry. At the same time, Japanese thinkers increasingly looked to their own traditions in search of sources of national identity, and this process accelerated as national confidence grew with military victories over China and Russia. Inventing the Way of the Samurai considers the people, events, and writings that drove the rapid growth of bushidō, which came to emphasize martial virtues and absolute loyalty to the emperor. In the early twentieth century, bushidōbecame a core subject in civilian and military education, and was a key ideological pillar supporting the imperial state until its collapse in 1945. The close identification of bushidō with Japanese militarism meant that it was rejected immediately after the war, but different interpretations of bushidō were soon revived by both Japanese and foreign commentators seeking to explain Japan's past, present, and future. This volume further explores the factors behind the resurgence of bushidō, which has proven resilient through 130 years of dramatic social, political, and cultural change.